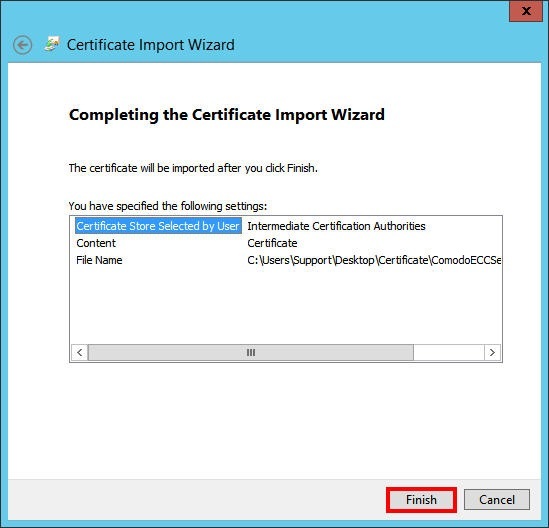 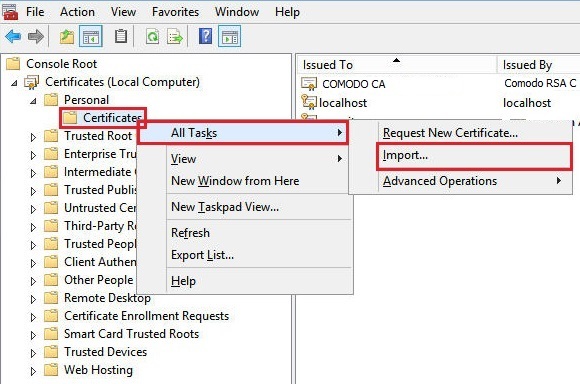 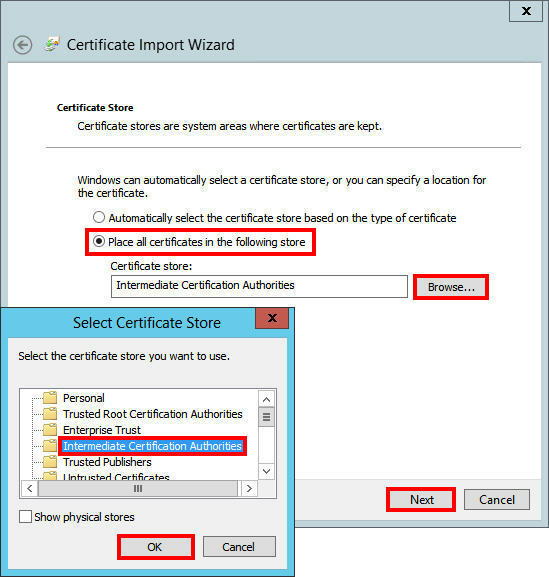 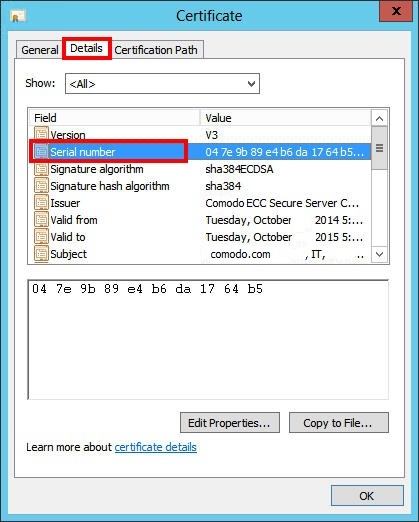 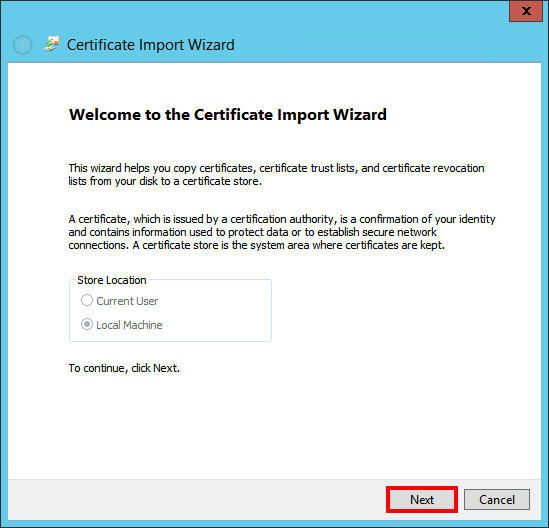 Install the ECC intermediate certificate in to the Certificate Store. 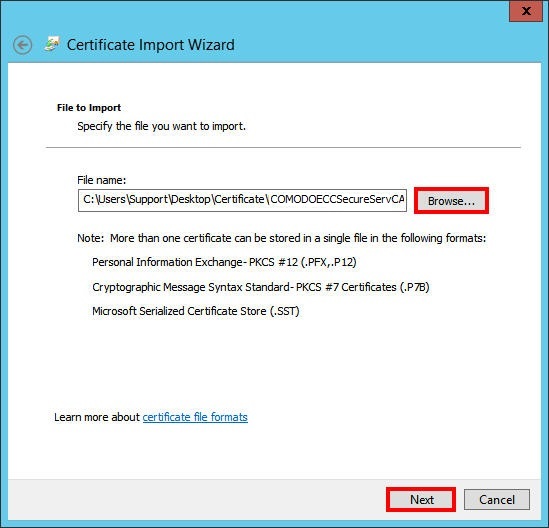 On the File to Import page, click Browse to browse for and select the XYZ CA.crt file that you saved to your server, click Open, and then, click Next. 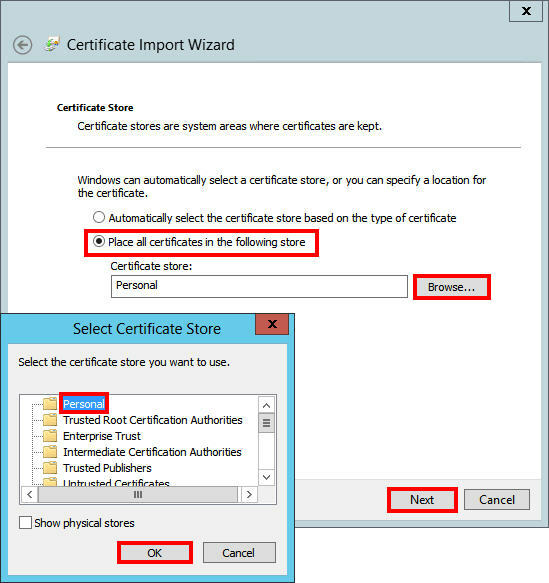 Your XYZCA.crt intermediate certificate should now be in the Certificate Store.